Zagreb Tourist Board and Five Stars Ltd. have prepared for you, our dear guest, a special ZAGREB CARD for Zagreb visitors. By buying this card, you are entitled to many special offers, discounts and surprise gifts. ZAGREB CARD is your perfect companion in Zagreb. It saves you time and money by offering free transport by Zagreb city transportation system as well as free entry to four prestigious Zagreb museums, the „Zagreb Eye” view deck and the Zagreb Zoo. As holder of ZAGREB CARD, you are also entitled to great discounts at 70 different locations and venues, including museums, restaurants, stores and shops. To view the full list of all venues offering discounts please follow this link. WHAT DO I GET IF I BUY ZAGREB CARD? 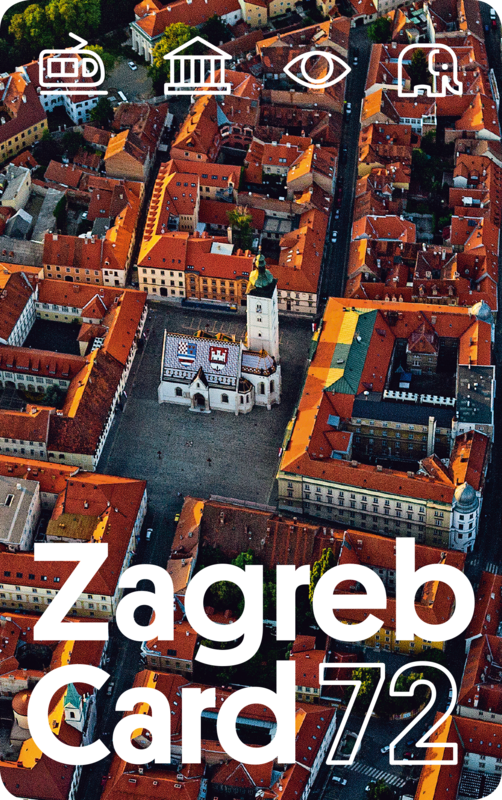 When you buy ZAGREB CARD you receive a special brochure with a list of all free-entry locations, service providers and types of discounts included in your card. WHAT IS THE DURATION OF ZAGREB CARD? Depending on the duration of your stay in Zagreb or plans for your visit, you can purchase a 24-hour card or a 72-hour card. When you are ready to start using it, you enter the date and time on the card and it will remain valid for 24 hours or 72 hours respectively. WHERE CAN I BUY MY ZAGREB CARD? You can buy your ZAGREB CARD on-line from web shop or at the Tourist Information Centre located at Ban Jelačić Square 11. ZAGREB CARD is also available from the reception desk in many Zagreb hotels and hostels, and from tourist agents. Welcome, Zagreb is waiting for you!